Once a quarter, we will review a book meant to empower workers from all sectors to become better managers and employees. 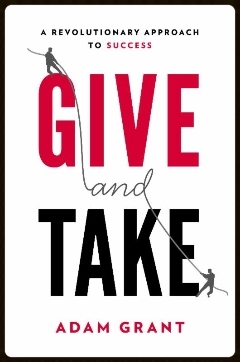 This blog post is based on this quarter’s book selection: Give and Take: Why Helping Others Drives Our Success by Adam Grant. Humility is the quality I most value in others. True humility is about seeing the light in others. It is about having the confidence to know that another person’s light does not catapult you into darkness. Instead, it builds a stronger radiance for the greater good. In his book, Give and Take: Why Helping Others Drives Our Success, author Adam Grant debunks our attachment to individual success. He talks about three ways of operating: giving, taking, and matching. Over the course of a career, people will most often fall into one of these three categories. It’s easy to fall into taking and matching because, as Grant argues, we have a natural tendency to overestimate our contributions while overlooking the contributions of a colleague. Many people also assume dominance and prestige are the only two fundamental paths toward success. Grant’s research shows that—contrary to popular opinion—it is the givers who gain the most over the course of a career. When Grant dug into this topic, he found that those who stood out because of their “exceptional kindness,” who lead through courage and vulnerability, and who maintained a genuine interest in learning from others stood out as the most powerful and influential people in their sectors. Adam Grant is a professor at the University of Pennsylvania, my alma mater. In truth, I worked my entire academic life to get into a school like UPenn. On the day I got in, my hands were shaking so bad, I couldn’t dial the numbers on my phone to call my mother. I kept thinking to myself, this is what it feels like to have a dream come true. But more amazing than getting in was a professor I met there: Professor Buck Benedict. Buck taught public speaking. 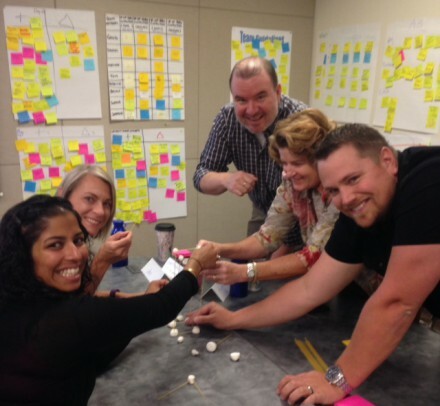 Through his course I learned an invaluable lesson: everyone’s story matters. I went into UPenn focused on my dream and came out determined to build the dreams and stories of others. The decision to shift has given me better days where I was lucky enough to see another person’s dream come true. And those days have provided me great joy. So ask yourself, “When I go to a wedding or baby shower, do I buy gifts off the registry or do I buy a unique gift?” “When positing on Facebook, do I post about myself or the people and world around me?” The answers to these questions might tell you more about where you fall in the give and take continuum. You may find that shifting your focus toward building others up will provide you with a better path to success and a richer story.